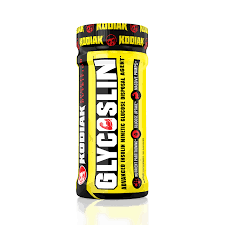 GLYCOSLINTM: the most powerful insulin driver and nutrient delivery enhancer on the market. Nutrient partitioning is the concept that the body can be activated to deliver nutrients, such as carbohydrates and protein, to the tissues we want (muscles) and not to the tissues we don’t want (adipose tissue or fat). This can be accomplished by activating insulin, the hormone that activates transporters of carbohydrate and protein, on muscle cells but not on fat. 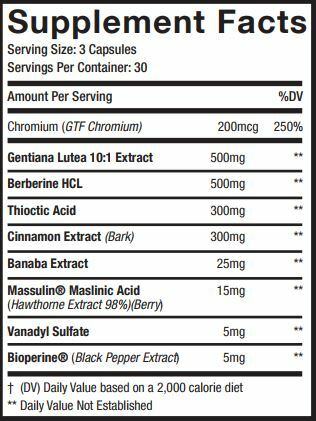 Compounds such as cyanidin-3-glucoside, banaba extract and berberine have demonstrated nutrient partitioning in studies, where muscle cells pull in the nutrients from high calorie diets while fat cells remain unaltered, or even shrink! 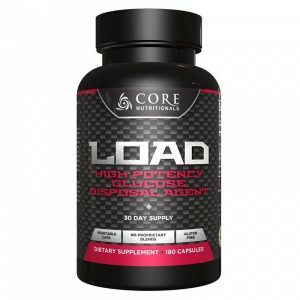 Take 1 serving with High Carb Meals. Post consumption the ingredients of Glycoslin will assist in nutrient partitioning. Results will vary.